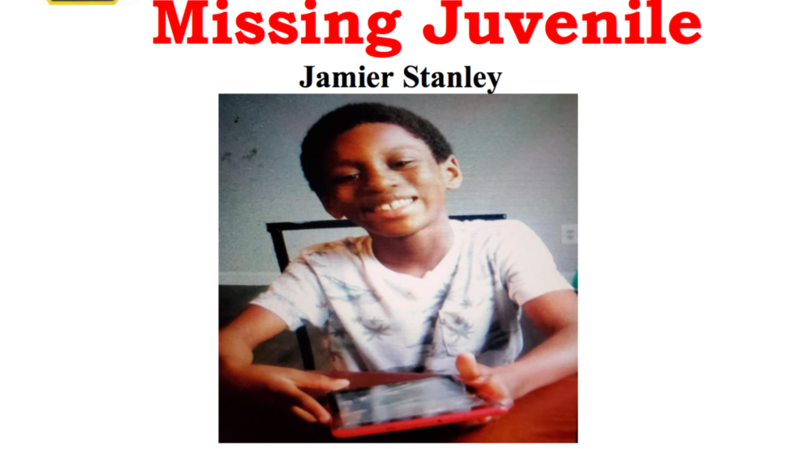 CHARLESTON, S.C. (WCIV) —UPDATE: Charleston Police Department says officers found the missing child, and say he is safe. Charleston Police Department is looking for Jamier Stanley, 7, who was reported missing Friday. Investigators believe he left his Coming Street on a black and green Huffy bicycle sometime during the evening. He’s described as being 4′ tall, and 60 pounds. He was last seen in a mint green t-shirt, dark grey shorts, and may frequent the areas of Allway St. in the Gadsden Green subdivision, and the Beaufain St. corridors of Robert Mills Manor in downtown Charleston. Anyone with information is asked to call (843) 743-7200.